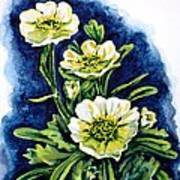 There are no comments for Alpine Ranunculus. Click here to post the first comment. 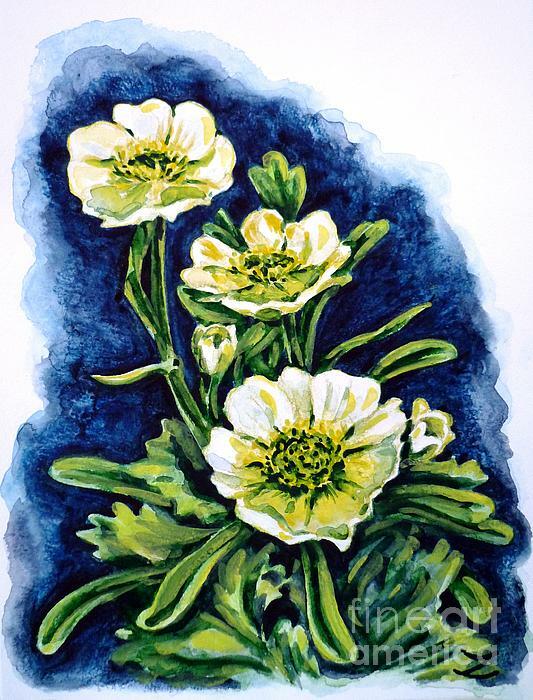 Alpine Ranunculus / watercolor / paper / November 4, 2010. Matted in a double dark blue-gold 12" x 14" mat with 8" x 10" opening. 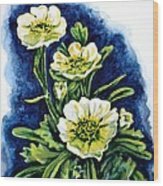 Size of the painting is 8.3" x 11".